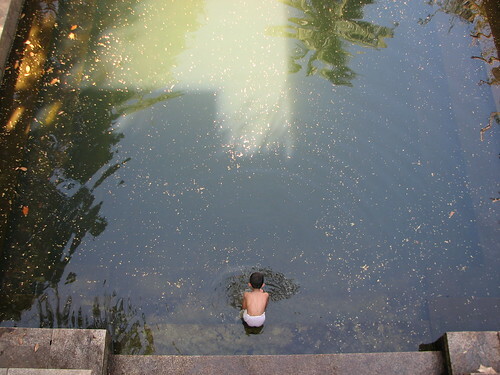 Scene 1: A small boy splashing water alone in the pond. 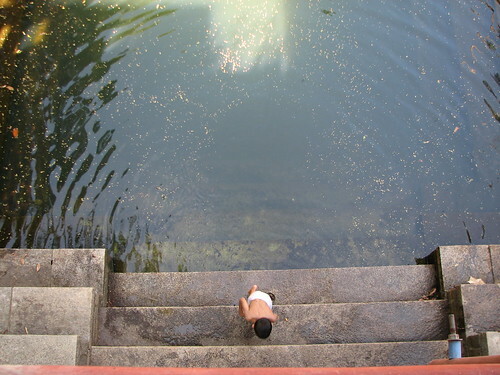 Scene 2: He wakes up with the stone steps as support. 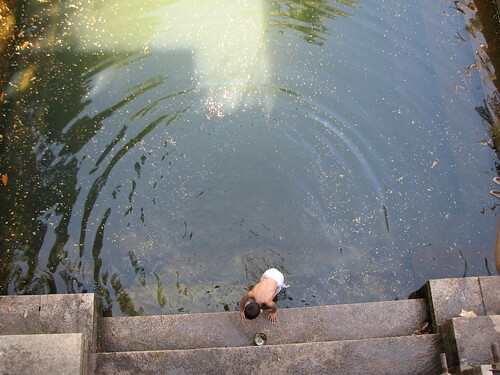 Scene 3: He leaves the pond. Sometimes, we think big and expensive stuffs make us smile or bring happiness. We thrive hard to make our dreams come true. At the same time, we forget that small things make us happy. Few things in life are priceless! Lovely pics! Love the way the sunlight and shadow plays with the ripples in the water. Loved the sequence, but then I always love the sequence of your pictures. You are unique in doing that.